Hello! My name is Amanda Hicks, and I am thrilled to be teaching at Our Lady of Lourdes. Attending Catholic Schools in the Archdiocese of Denver from Kindergarten through high school set such a positive influence in my life, and I am blessed to be a part of Catholic Education as a teacher. 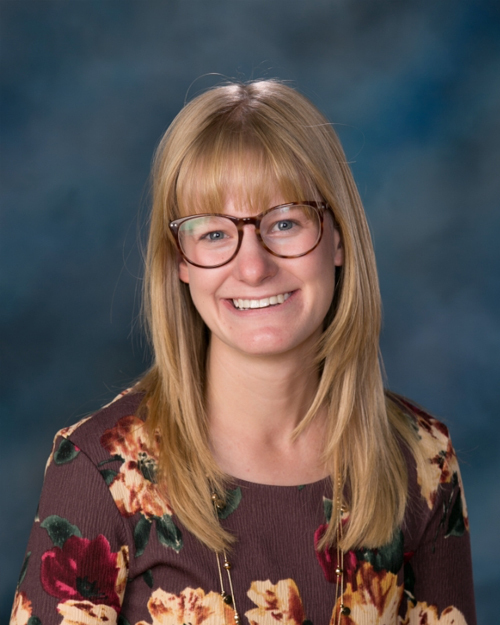 After studying Elementary Education at Saint Louis University and serving as a catechist through the Totus Tuus program for the Archdiocese of Denver, I completed my Colorado teacher license and began taking classes at the Augustine Institute. Before teaching at Lourdes, I learned about Our Lady’s beautiful message of healing by traveling to Lourdes, France with a group of infirm pilgrims. When I began teaching at Lourdes I was impressed with how the mission of Our Lady leading the world to Her Son permeated the school! Teaching at Lourdes the past three years has provided a beautiful opportunity to encounter Christ with my students; in pursuing truth, goodness, and beauty in the classroom, and praying as a community at Holy Mass, class Rosaries, Eucharistic Adoration, and serving in our community. I enjoy sharing with students my love of being outdoors, crafting, cooking, and sewing. It is an incredible and humbling experience to be there with my students during those “light bulb” moments, whether it be in mastering our multiplication tables, observing nature, reading the Chronicles of Narnia together, or learning about the promises of Christ. I am immensely blessed to teach in a school where we can immerse ourselves in the life of the Church and the beauty of His creation here in Colorado! 2256 S. Logan St. – Denver, CO 80210 | (303) 722-7525 | © 2018 Our Lady of Lourdes Catholic School.